Nelson Mandela was born on July 18, 1918, into a royal family of the Xhosa-speaking Thembu tribe in the South African village of Mvezo, where his father, Gadla Henry Mphakanyiswa (c. 1880-1928), served as chief. His mother, Nosekeni Fanny, was the third of Mphakanyiswa’s four wives, who together bore him nine daughters and four sons. After the death of his father in 1927, 9-year-old Mandela—then known by his birth name, Rolihlahla—was adopted by Jongintaba Dalindyebo, a high-ranking Thembu regent who began grooming his young ward for a role within the tribal leadership. Already, well done Mr. Mandela. I often wonder how the children of this generation would fare to the type of child rearing I endured growing up. It was the kind of parenting when you actually went to school and had a fear that your mother would pop up to make sure you were doing your work. It was an era when you were told to do household chores before the television could be turned on or you could play outside. Also your friends didn’t text you, they came to the porch and yelled your name and you begged your parents to let you out of the house. I won’t say it was always a simpler time, but things really did seem different. What stands as a paramount opposite was the community’s involvement in our upbringing. Our neighbors and others were concerned about us and made no apologies for it. I recently caught a video from Dave Logan as he shared the concepts from his best selling book, Tribal Leadership. It struck me humorous that the same principles of connecting, growing together and shared responsibilities were the same standards those of my generation remember from childhood. Logan wrote this book to address the changing culture in the business world, but my family had a lock on it years ago. Everything starts with identifying core values: Logan states “A company cannot be built on a foundation that is not ready to move forward.” My recollection of early adolescence was all about learning life lessons before I needed them. My mother would say that if you don’t stand for something, you will fall for anything. And in life, I have found that it’s easier to hold onto principles than look for them in times of trouble. Don’t break down, break through: In his book, Tribal Leadership, Logan speaks of a critical stage called: On The Verge of A Meltdown. It is in this stage that the term ‘prison gang’ comes to mind. People with the same frustrations huddle together to lament and complain. It is in this stage that someone with values has to stand up and be different. As my mother used to say, if everyone jumped off a bridge, would you? I’m great and so are you: Of all the stages of development into Tribal Leadership, the most dangerous is Stage Three. This stage is marked with a sense of elitism that screams I am great and you are not! Growing up in the community like mine, I learned quickly that we all needed each other. My community was so tight knit that food, medicines and many other things were shared commodities. This way, no one went hungry and no one went without. Greatness was a shared principle. Culture is a powerful word that has the capacity to drive a community and an organization. Back in the day, we didn’t know what to call it but it was a governing factor every day. The same important facts Dave Logan shares in Tribal Leadership about core values and bringing everyone along were evident in the way our neighborhood functioned. I am grateful for the discipline and structure I experienced early on in life. There was a certain comfort in the tribal vibe we had going. As the old saying goes, ‘It takes a village to raise a child’. Nelson Mandela has sacrificed his private life and his youth for his people, and remains South Africa’s best known and loved hero. All in all I think Mandela is one of the great moral and political leaders of our time. He is an international hero and is revered everywhere as a vital force in the fight for human rights and racial equality. 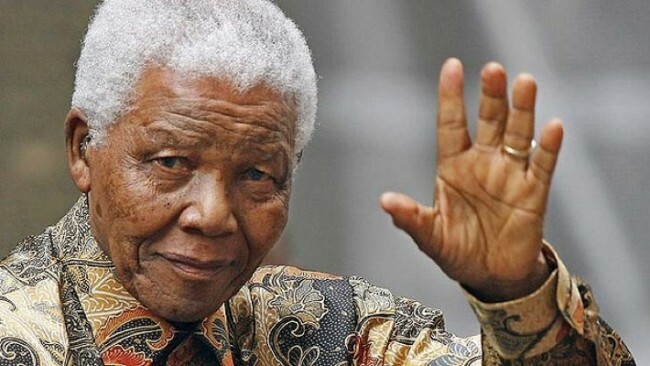 At 94 years of age, as he lies in a hospital room in critical condition, I believe it is safe to say Mandela can leave us in peace, his work is done. Well done Sir Nelson Mandela, well done! 2 Responses to "Well Done Mr. Nelson Mandela [Video]"
Hey! I simply wish to give a huge thumbs up for the good info you’ve right here on this post. I shall be coming again to your blog for extra soon. Thank you, Sir Nelson Mandela, for all of your work to end an unjust apartheid regime in a nonviolent and dignified manner. May you be remembered for all your good work. I pray that you are not suffering and that you make a smooth transition in this process we all must succumb to. God bless you and all of your friends and loved ones and S. Africa, for the difference you made in their lives and the future of the country. Job Well Done!! !